My family just loves a traditional Pecan Pie. For years I’ve wanted them to try different flavors like, chocolate and more but no, no, no, they tell me. 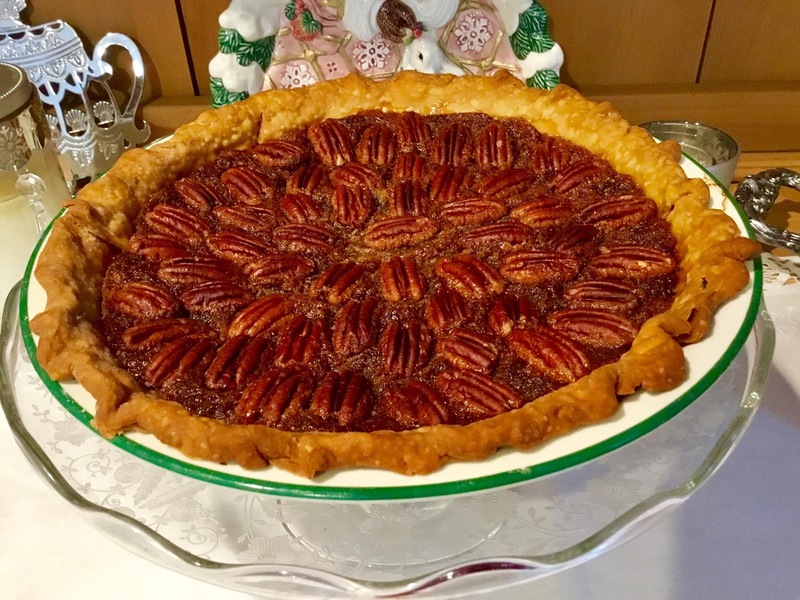 So I am going to share how I make my traditional Pecan Pie. It’s easy and delicious! 1. Stir together flour and salt. Using a pastry blender, cut in shortening until pieces are pea-size. 2. Sprinkle 1 tablespoon of the water over part of the mixture; gently toss with a fork. Push moistened dough to the side of the bowl. Repeat moistening dough, using 1 tablespoon of the water at a time, until all the dough is moistened. Form dough into a ball. 3. On a lightly floured surface, use your hands to slightly flatten dough. Roll dough from center to edges into a circle about 12 inches in diameter. 4. To transfer pastry, wrap it around the rolling pin. Unroll pastry into a 9-inch pie plate. Ease pastry into pie plate, being careful not to stretch pastry. Pre-heat oven to 350 F.Whisk the first five ingredients thoroughly. Pour into pie crust. I like to place the pecan halves in a circular design. Bake on center rack of oven for 55 to 60 minutes. Do not over bake. 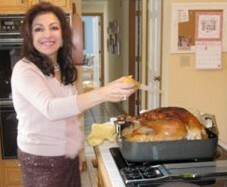 TIP: Pie is done when center reaches 200 F. Tap center surface of pie lightly; it should spring back when done.